In her debut novel Above All Things Tanis Rideout tells a masterful story of George Mallory's Everest expedition, the hardships of the climb, and, maybe most important, the hardships Ruth Mallory faced being left behind. Neither to change, nor falter, nor repent: This ... is to be Good, great and joyous, beautiful and free, This is alone Life, Joy, Empire and Victory. Shelley and Vaughan-Williams sum up the "hero's journey," the call beyond the ordinary boundaries of life to test and then to surpass human limits, to make what Neil Armstrong called "one giant leap for mankind." In her first novel, Above All Things, Tanis Rideout follows George Mallory and his companions on the 1924 British Everest Expedition, the third attempt by British teams led by Mallory to reach the summit of what was considered the Third Pole - important to the British because the Americans and Norwegians had already reached the other poles first and only Everest remained as a seemingly unconquerable goal. Mallory embodied all the qualities of the hero that Shelley described, and Everest was the far boundary that drew him. Tanis Rideout expands the hero's quest to include all those affected when someone leaves behind a life and a love to follow that higher calling. For every Odysseus there is a Penelope left weaving at her loom. For every Aeneas there is an abandoned Dido. For every Amelia Earhart there is a George Palmer waiting. Every embrace of a goal "because it's there" also involves turning one's back, at least for a time, on "what's here." 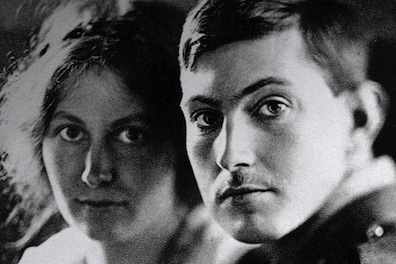 Though Ruth and George Mallory's relationship was deep, committed, and firmly embedded in their lives, George's obsession with Everest  his being drawn by the siren call of Chomolungma, the Goddess of Everest  stood 'above all things' in his heart. 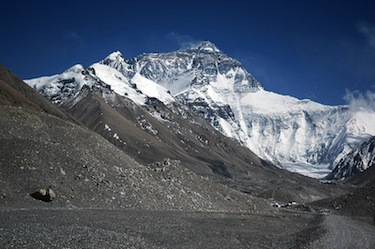 In standing on Everest, George stood above every other physical feature on Earth, and George's quest for Everest's summit stood above every other one of his concerns. Rideout tells a masterful story of the adventure of the expedition, the hardships of the climb, and the inner conflict within each member of the team. She also explores Ruth's proud support along with her doubts, anxiety, and fears. Ruth knows she could be facing a future empty of the husband and father that form the center of her family, even in his absence. At the same time, however, Ruth is drawn to the very mountain she hates for taking away her lover and husband. The letters between Ruth and George and the inner dialogue Rideout creates from these and from her research give entrance into hearts torn between two loves, and Rideout does so without the judgment that would create a victim or a villain. We have to look to Emma Bovary or Anna Karenina to find such victimless conflict in women, and perhaps to the Ulysses of Tennyson who "
yearning in desire/To follow knowledge like a sinking star/ Beyond the utmost bound of human thought," to find it in men. Rideout skillfully allows us to feel the pain of both, joined with compassion for each. I want you to be proud of me. I want the children to be proud." George is convinced that "only claiming the summit could make things right between them." In the end, George loses all: the mountain and his family. What "is there" has also taken away "what's here." I am a particular fan of first novels since authors often pour the depths of their hearts into them. Many authors never surpass the masterwork with which they started their careers. If Tanis Rideout writes no other novel, she has achieved mastery in this first long work and has given us a treasure. I personally hope she will continue to write so skillfully of the inner human struggle. Some would call this a historical novel, but it is more than that: it is an exploration of the conflict of the human heart, which all must face and within which we each must shape our destiny. This review was originally published in March 2013, and has been updated for the February 2014 paperback release. Click here to go to this issue.